One of the most appreciated drinks of El Anciano Reys is his natural vermouth. There are many visitors who come to our house to try this excellent drink. However, the origin of vermouth is little known. So we are going to travel a little in time and go back to the 5th century BC, when the great Hippocrates doctor lived. Apparently, in order to treat stomach pains, he developed the first prototype of this drink, by macerating flowers of various plants in wine. The great Roman cook Apicius, seems to take into account the discovery of Hippocrates. Thus, in his work De Re Coquinaria includes a recipe very similar to that of Greek, although Apicio already includes the concept of “aperitif” for the drink. The Romans themselves improved this recipe and created what can already be considered the first vermouth, which they called Absinthiatum vinum. In 1773 appeared the first recipes of the current drink. A little later the Italian Antonio Benedetto Carpano popularized the vermouth and began begin to commercialize in a massive way. The popular drink arrived in Spain in 1838. Specifically to the Catalan city of Reus. And in 1881 there was an event that became Spain a producer of vermouth: the establishment of duty on imported beverages. So the vermouth that arrived mainly from Italy rose its price a lot, opening the way for the Spanish vermouth-makers. In that way the vermouth extends throughout the peninsula becoming the authentic symbol of the aperitif. 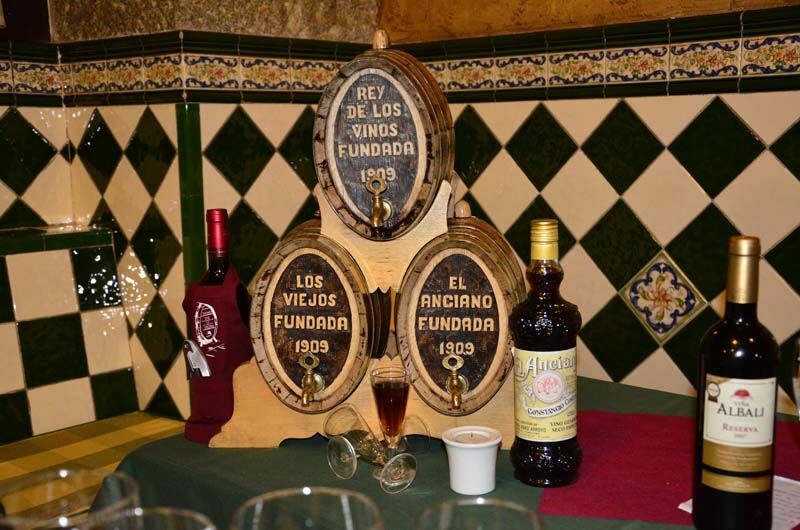 If you want to have a good vermouth, you can visit El Anciano Rey de los VInos. Here you will taste an authentic natural vermouth, preserved in barrels. Surely you will notice the difference. Y como seguimos en #SemanaSanta ¿qué tal un pestiño de los que hacemos en El Anciano Rey? And as we continue in #Easter, how about a pestiño of what we do in El Anciano Rey?